As our wonderful photographer friend was in Florida, for our Wedding, we took the opportunity to have a Magic Kingdom Photo Shoot. 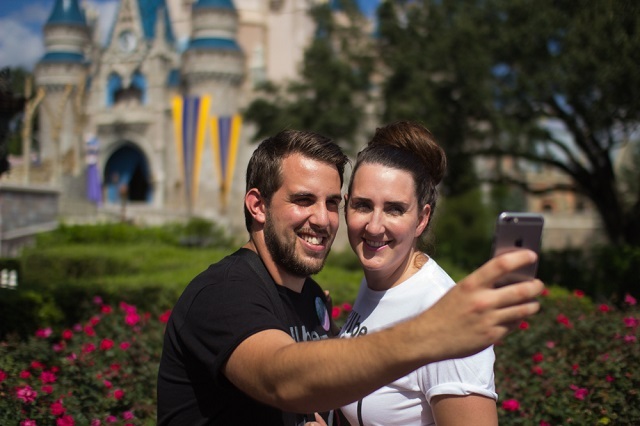 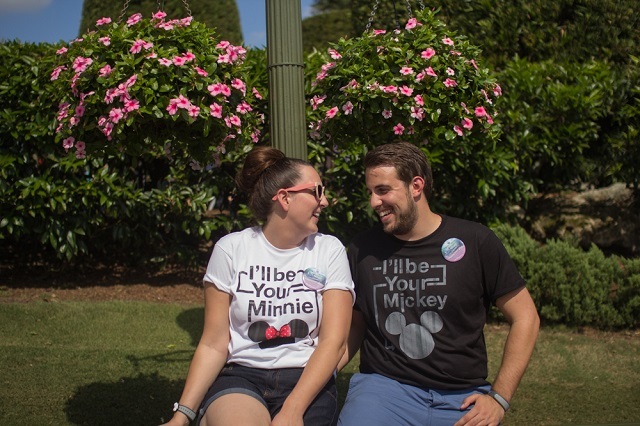 Disney have recently changed the rules, and so now, even non "Disney Fairy Tale Weddings" couples can have park shoots. 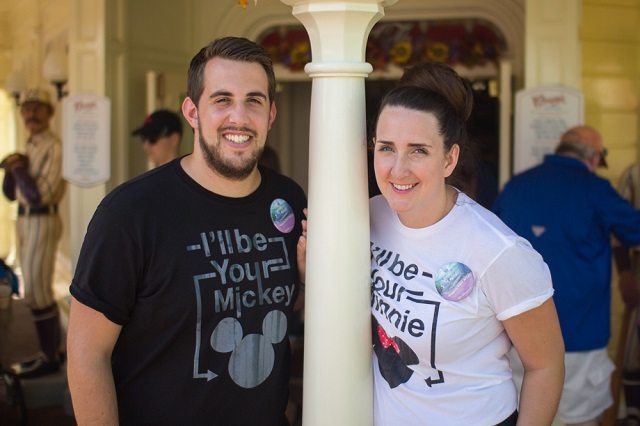 If that was the case we would have taken it up for sure, and it's no doubt something we're still look to do in the future. 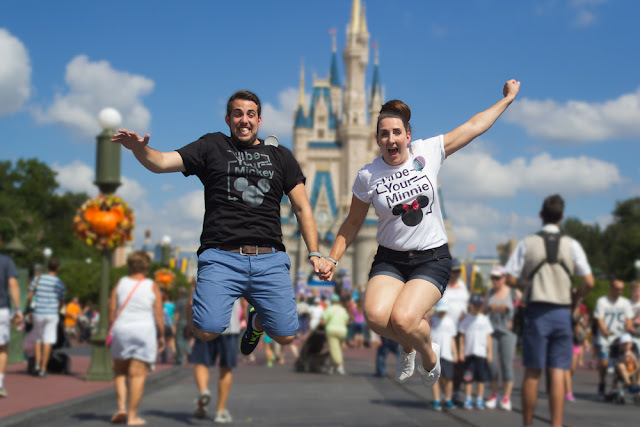 Who doesn't want to act like a Princess, in your Wedding dress, at Walt Disney World. 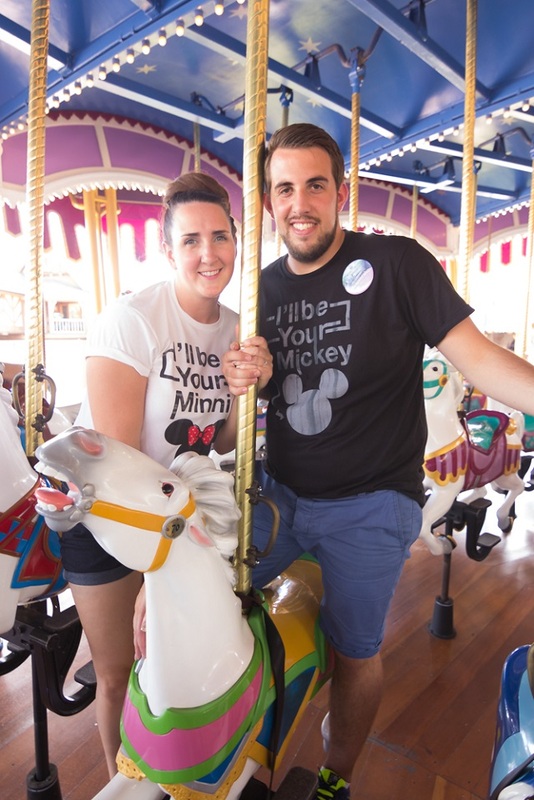 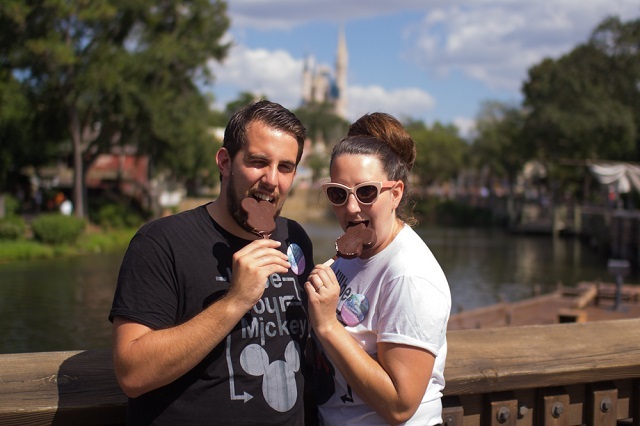 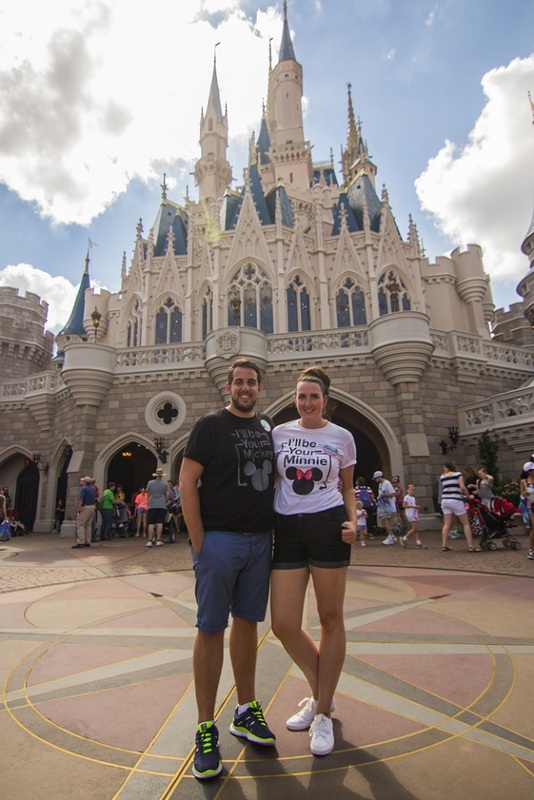 Our Magic Kingdom Photo Shoot was still so cute, wearing matching tshirts and finding areas around the crowded park that would look good in shot. 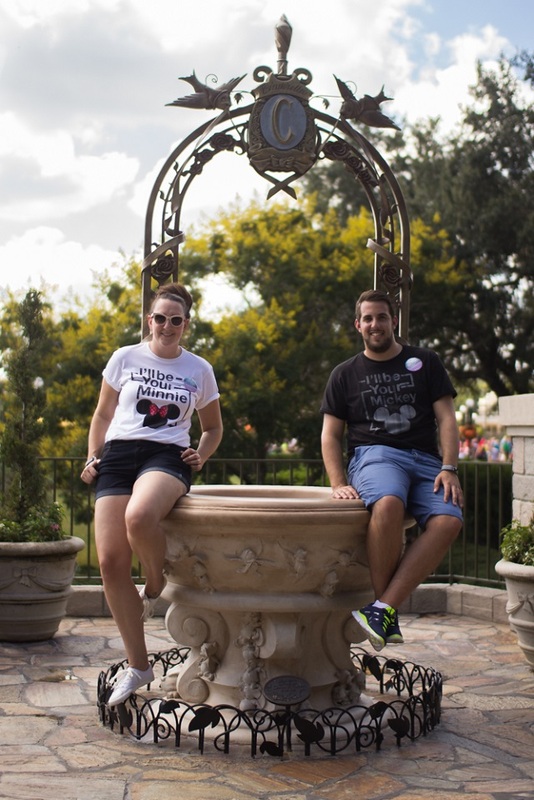 The lighthearted and fun photos that Tom took were just what was needed a couple of days before the Wedding, getting [even more] excited about the Wedding Day, and frolicking around Magic Kingdom, having the best time with friends.